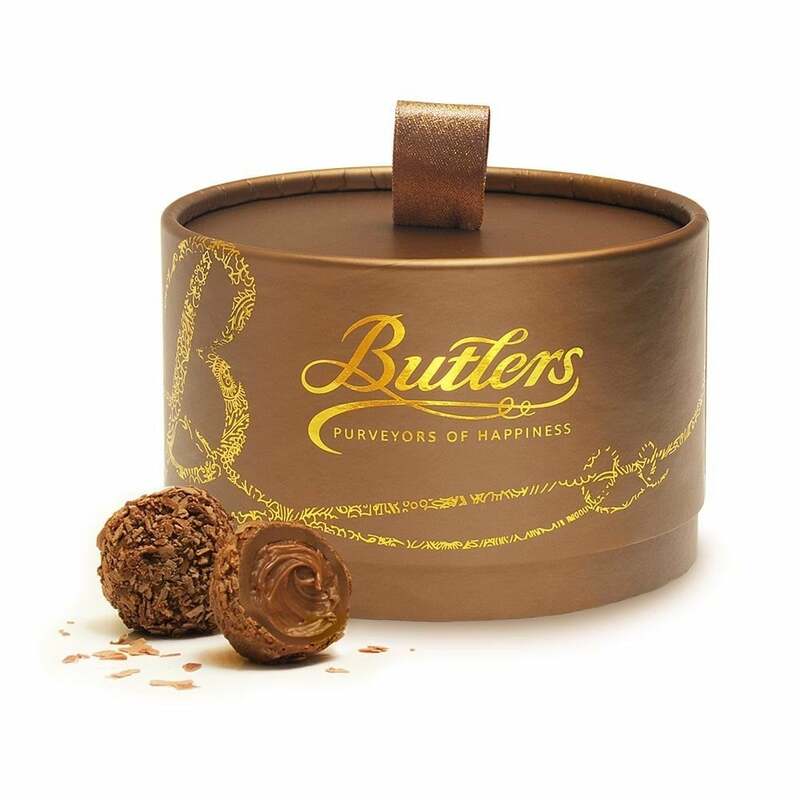 'Purveyors of Happiness' since 1932, Irish brand Butlers is highly-coveted for its blend of luxurious ingredients and traditional recipes. Butlers Chocolate Truffles Powder Puff box Ingredients: Sugar, whole milk powder, cocoa butter, cocoa mass, invert sugar syrup, water, sweetened condensed milk (milk, sugar), emulsifier: soya lecithin, preservative: sorbic acid, natural flavouring. (Milk chocolate contains: 32% cocoa solids minimum, 20% milk solids minimum). Please store in a cool, dry and odourless place. Contains no alcohol. This product may contain nut traces.